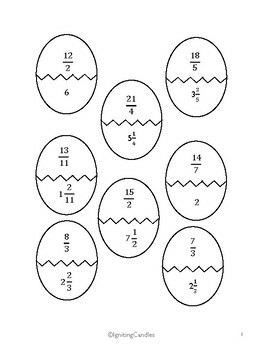 Time to put your students to the test! 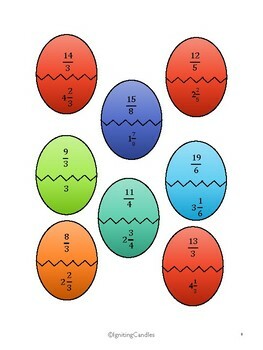 This product challenges students to match improper fractions to the corresponding mixed number. 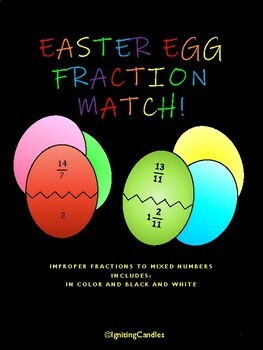 The printable matching game includes differentiated levels such as, color and black and white. Use the colored pages to guide students in narrowing down their choices, or use the black and white pages for more of a challenge. It is great to use for review, independent practice, or small group! If you have any questions, I'd love to hear from you!